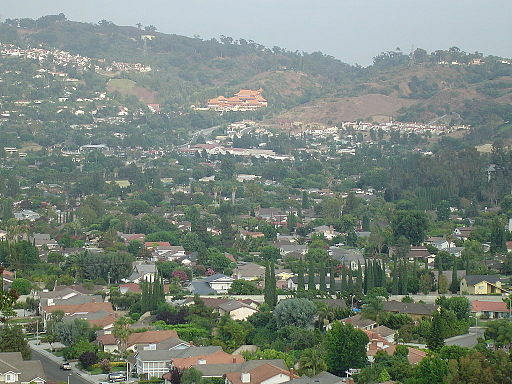 Whittier is a small Los Angeles metro suburb with a population of 80,000+ people. The city is known for its small town feel and family-friendly environment. Uptown Whittier is a local hotspot where residents can enjoy restaurants, shopping and more. With excellent temperatures year-round, locals can hike Turnbull Canyon and the Arroyo Pescadero Trail. Los Angeles is only 15 miles from Whittier, so residents can enjoy all the amenities that the big city has to offer while avoiding the everyday hustle and bustle. From quaint historic homes to sleek, modern new-builds, the homes available in Whittier are able to meet all sorts or architectural tastes. Nestled in Los Angeles County’s Puente Hills lies the community of Hacienda Heights. The community of 50,000+ residents Hacienda Heights boasts six local parks: William Steinmetz, Pepperbrook, Los Robles County, Manzanita, Thomas S Burton and Country Wood. Residents can enjoy shopping and entertainment at the Puente Hills Mall. Hacienda Heights is home to the beautiful Hsi Lai Temple, which is one of the largest Buddhist Temples in the western hemisphere. Whether looking for a condo or a mansion, there are homes available in Hacienda Heights to meet any and all budgets and tastes. La Habra is quiet, residential community located approximately 40 minutes outside of Los Angeles. The city boasts over 20 parks and a well know Children’s Museum. Attractions such as Knotts Berry Farm, Disneyland, and Long Beach are all within 45 minutes of La Habra, making the city an attractive location. Residents can enjoy shopping and dining at the nearby Brea Mall. Real Estate in La Habra is very diverse, with homes available to meet any preference or need. La Mirada is a family-friendly community located 20 miles outside of Los Angeles. The city is home to Splash! Aquatics Center – a regional aquatic center that hosts Buccaneer Bay Water Park. Residents can catch a live performance at the La Mirada Theatre for the Performing Arts. There are many beautiful outdoor spaces to picnic or play at, such as the La Mirada Community Regional Park or the La Mirada Creek Park. Homeowners will love the proximity to shopping centers, such as Los Cerritos Center and Buena Park Downtown. Future buyers can find an array of family-friendly homes in the $400k and up price range.